An Ambiguous Utopia. 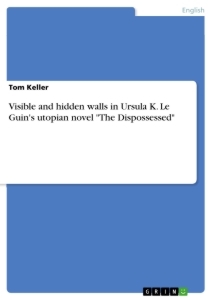 The Concept of Utopia in Ursula K. Le Guin's "The Dispossessed"
3. The Dispossessed: An Ambiguous Utopia? Ursula K. Le Guin’s The Dispossessed: An Ambiguous Utopia is a science fiction (SF) novel from 1974, often conceived as a blueprint for an anarchist society and a “work of political theory” (Burns 1-2). Scholars like Andrew Reynolds construe Le Guin’s novel as an “unambiguous alternative to consumerism” and “a viable model for future society” (Davis, "Introduction" xiii). Judah Bierman suggests that The Dispossessed’s main theme would be “the dilemmas in the idea of an anarchist socialist utopia” with the conclusion that “Anarres […] is a utopia” (Bierman 250). However, there are just as many complementary views that challenge this assumption, considering the fact that the novel does not depict the anarchistic society of Anarres alone. The Dispossessed presents the reader a juxtaposition of Anarres and its sister planet Urras which houses a society based on capitalism. Building on these findings, it is the aim of the present paper to explore the location of utopia in The Dispossessed. Is it a utopia as ambiguous as its subtitle declares? The paper argues that Le Guin’s novel in many respects coincides with the concept of a critical utopia in Tom Moylan’s (2014) sense. Whereas it is true that both Urras and Anarres display many features that could be considered utopian, The Dispossessed equally presents the flaws of its society which, as this paper suggests, relativises their status as the ideal place. The second part of the paper reflects upon the circumstance that both planets are introduced to the reader in the course of a dual narrative, which presents the plotline in alternating chapters on Urras and Anarres. It examines the narrative focus on the protagonist Shevek and his experience of the societies in the light of Tom Moylan’s and Ernst Bloch’s concepts of utopia. The paper concludes that this ambiguous mode of narration, switching in time and place, firstly portrays a concept of utopia which is dynamic and embedded in historicity and secondly expresses the importance of individual action and initiative for the realisation of utopia. The Dispossessed is often seen as a main influence on the “revival of utopian writing […] in the second half of the twentieth century”, following a period of dystopian writing such as Huxley’s Brave New World (Burns 2). Most interpretations perceive it as a “work of political theory” (Burns 1-2), offering a blueprint for an anarchist society (1-2). This is mirrored in the multitudes of views which base their interpretations on such an approach but also reveal different opinions concerning the existence and the location of utopia. Judah Bierman sees The Dispossessed as a treatise of the possible problems in an “anarchist socialist utopia” (Bierman 250). He states that Le Guin’s work contributes significantly “to the debate about the responsibility of knowledge, of the visionary and of the scientist, in a planned society” (Bierman 249). Dan Sabia, similarly, picks an approach which accentuates the role of anarchism and the corresponding political theory in The Dispossessed (Sabia 111). He approaches the work with a primary focus on the reconciliation of individuality and community, for which the protagonist’s home planet, Anarres, would provide an example (Sabia 111). Whereas Sabia accentuates Le Guin’s expertise in “anarchism” and the communist ideals processed in her work, Mark Tunick exposes the “faults” of Anarres as a utopia or a desirable society (Tunick 129). For Tunick as a “political theorist” (Tunick 130), The Dispossessed critically investigates how a policy of no privacy might work in an anarchist society (130). Andrew Reynolds also highlights the importance of Anarres and sees The Dispossessed as a “post-utopian approach” (Reynolds 85) and “unambiguous alternative to consumerism”, suggesting that it depicts a realistic possibility for implementation (Davis, "Introduction" xiii). Stillman presents a political, ecological approach and reads The Dispossessed as a “thought-experiment” which tries to reconcile conditions of scarcity, as on Anarres, with the needs of individuals and the society (Stillman 55). As Davis and Stillman explicate, all these views consider the “immediate historical context” of the novel’s time of origin (Davis und Stillman, "Utopian Journeying: Ursula K. Le Guin's The Dispossessed" xi). Like Bierman, Laurence Davis clearly perceives The Dispossessed as a utopia, although not in the “obsolescent perfectionist understanding of the term” (Davis, "The Dynamic and Revolutionary Utopia of Ursula K. Le Guin" 3). Its novelistic nature would demarcate it from “the ideal-typical work of political theory” in the tradition of Thomas More (Burns 2). As Burns declares, most researchers classify The Dispossessed as a work of political theory (Burns 2). Such approaches often neglect the work’s focus on its protagonist and his journey. According to Tony Burns, The Dispossessed focuses on the personal development of Shevek more than presenting an idea for a viable anarchistic society (Burns 3). This paper picks up this view but suggests that exactly due to this focus the novel conveys a utopian ideal. According to its common definition, utopia is an “ideal state” (“Utopia”, 1998). Following this, the theoretical part of this paper starts with a short outline of utopia as it is commonly understood in order to identify the concept of utopia in The Dispossessed. Consequently, it elaborates on utopia as a subgenre of science fiction, drawing upon the alterations in the concept throughout time, up to The Dispossessed. For this purpose, Tom Moylan’s theory of the “critical utopia” as well as Ernst Bloch’s perception of “hope” and utopia is integrated into the subsequent section. Revolutionizing Fantasy Space" 235). Accordingly, they are often determined by meritocracy (Somay, "From Ambiguity to Self-Reflexivity: Revolutionizing Fantasy Space" 234) which amounts for a “freedom of organization” and “expression” (Somay, "From Ambiguity to Self- Reflexivity: Revolutionizing Fantasy Space" 235). As Somay sums up, “until late twentieth century, utopia never left any room for ambiguity” (Somay, "From Ambiguity to Self- Reflexivity: Revolutionizing Fantasy Space" 235). However, not even Thomas More’s Utopia depicts a perfectionist utopia (Sargisson 30), since More integrated “puns” (31) and flaws into his society and thus deliberately created ambiguity (31). Accordingly, in More’s times ambiguous concepts of utopias already existed which did not have the main aim to provide realistic models of flawless societies (31). Such an ambiguity is also visible in the notions of utopia that follow. For in the entire history of utopian/dystopian tradition, from Thomas More to the present, there have been only three significant turning points. The first was the creation of the tradition of the literary utopia in the writings of More. The second was the transformation of this traditional literary utopia into something qualitatively different, namely the dystopian novel (which is also a work of science fiction) in the writings of Wells. 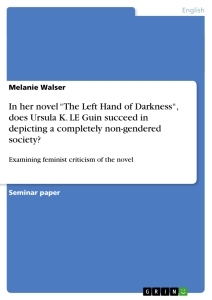 And the third was the further transformation of the dystopian novel of Wells into something which is again qualitatively different, namely the utopian novel (which is also a work of science fiction) of the 1970s; a transformation which is associated, above all, with Le Guin’s The Dispossessed (Burns 39-40). A novelty about these utopias is that they can be assigned to the conventional utopia instead of resembling a dystopia (Burns 19). Le Guin’s “utopian science fiction novel” can hence be seen as a hybrid of the “traditional literary utopia (More) […] with the science fiction novel (Wells)” (Burns 39-40). The new series of utopia owes its novelistic character to the genre of science fiction (Burns 41). Writing in this genre provided the right medium for these writers, because it allowed them to draw upon the “incapacity to imagine the future” (Jameson 153) and on a perception of the present that is aware of its limits (Moylan 41). Jameson argues that SF does not merely try to picture what our future would look like but more importantly, to illustrate how to transform our own present “into the determinate past of something yet to come” (Jameson 152). Therefore, utopia, as a sub-genre of SF, draws upon our incapacity to envision utopia due to the cultural conditioning that we are subject to (Jameson 153). This, as Moylan points out, paved the way for “the critical utopian novel” (Moylan 41), which tied on to the critique of the traditional utopia, but at the same time revived the “utopian imagination” (Moylan 41-42). With critical utopias, an “active protagonist” came into existence in opposition to the previous passive stance of the consumer (Moylan 48). Critical utopias do not present “static ideals” anymore but approve contrasting perspectives and resistance, allowing for “process and change” (Moylan 50). Distinct about critical utopias is their self-awareness (Moylan 43), acknowledging the limits of the utopian imagination (Moylan 10). Whereas older ideological utopian societies assumed utopia as a fixed state (Moylan 35-36), critical utopias emphasise the defects of the imagined society and provide a more “dynamic” conception of utopia (Moylan 10), which refers to the critique of the “genre” and the “historical situation”, and, secondly, relates to “the critical mass” whose reaction is demanded (Moylan 10). As Burns points out, this genre implicates an awareness of the pitfalls of the utopian imagination, the term critical thus referring to the “literary form” more than to the “socio-political content” (Burns 271). With this breakthrough of new utopian writing, the authors primarily overcame structures of the traditional utopia. As claimed by Fitting, the replacement of the familiar closure in the narrative by more dynamic alternatives motivates the reader to stay involved (Fitting 36). Although the form of the science fiction novel requires a closed ending, the imagination of the future does not allow closure (Jameson 148), because all beings and objects constantly move “towards some unimaginable yet inevitable ‘real’ future”, as Jameson explains (Jameson 153). Utopia, accordingly, cannot be a completed, ideal state but rather has the function to promote human imagination and activity “beyond the present limit” (Moylan 40). Bloch elaborates on the possibility of utopia in the Principle of Hope. His basic assumption is that a genuine present does not yet exist and the lives of humankind are unfinished. We would constantly strive for a better future1 (Bloch, Das Prinzip Hoffnung. Kapitel 1-32 2) which manifests itself in daydreams. These can be found throughout life and within different cultural forms (such as art) (Bloch, Das Prinzip Hoffnung. Kapitel 1-32 6), at the bottom of which lies hope2 (Bloch, Das Prinzip Hoffnung. Kapitel 1-32 1). According to Bloch, anticipation, hope, intention and possibilities that are yet to come make up the essence of human consciousness and also of objective reality (Bloch, Das Prinzip Hoffnung. Kapitel 1-32 5). Bloch works with an active notion of hope which assumes that humankind works towards a meaningful future by acknowledging its possibilities and the potential inherent in the future (Bloch, Das Prinzip Hoffnung. Kapitel 1-32 1). Hope, accordingly, is substantiated by the negation of a static perception of being. The world and the present are shaped by tendency and latency3 which foreshadow the potential direction of the future and of fulfilment (Bloch, Das Prinzip Hoffnung. Kapitel 1-32 17). For their activation, the Not-Yet-Conscious4 needs to become conscious through the recognition that the present, by means of anticipation, can be transformed into the possibilities of a better future (Bloch, Das Prinzip Hoffnung. Kapitel 1- 32 164). At no point in time is the world in a static state - it is constantly exposed to dynamic processes and relations which are the mediation between the present, the unfinished past and the possible future. As Bloch suggests, the future, which has not yet come, is visible in the past, and the fulfilment of the past, in turn, is visible in the future. Thus, the past, perceived as an isolated category, would not be a true past. What follows is that true action can only be generated if the present is considered in the wholeness of an incomplete process moving forwards and backwards. The process moves towards the Novum, which is something genuinely new that has not yet been shaped but still determines the future5 (Bloch, Das Prinzip Hoffnung. Kapitel 1-32 7, 146). Actuality is in a constant process towards the possible, the Not-Yet-Conscious (Bloch, Das Prinzip Hoffnung. Kapitel 1-32 225). The concrete utopia would be visible in this processuality6, implicating that the longing for utopia is ubiquitous. The utopian impulse is not only visible in mankind, but in every piece of art and in every philosophy in the form of something which is yet to come. The human soul is subject to the Not-Yet-Conscious and equally the world is subject to the Not-Yet-Become7, being headed by the Novum. Both terms implicate that there is the possibility for them to become real, which can only be decided by human activeness. The concrete utopia becomes the key to the best possible human society (Bloch, Das Prinzip Hoffnung. Kapitel 33-42 728). The utopian imagination inherent in the hopes and daydreams does not provide final solutions, referring to Bloch’s understanding that the world and its subject matter are always in a state of incompleteness8 (Bloch, Tübinger Einleitung in die Philosophie 115). More than being a paradise-like state, utopia would constitute the actual possibility for paradise (Bloch, Tübinger Einleitung in die Philosophie 115). As Moylan explains, “the utopian moment can never be directly articulated, for it does not yet exist” (Moylan 22) and even “those concrete utopian moments of fulfilment are future-bearing only in their very finite and passing nature” (Moylan 21). Its fulfilment is still to come about. Utopia is a process, whose form is not yet known (Bloch, Das Prinzip Hoffnung. Kapitel 1-32 166). As Bloch explains, the process can come to an end when all which not yet exists9, visible in the process and forms of tendency-latency, takes the true form of itself10 (Bloch, Das Prinzip Hoffnung. Kapitel 43-55 1625). For this fulfilment, mankind needs to transcend the current conditions inherent in him- or herself. Then, Heimat11 will come into existence, a state where people feel at home but which is completely new (Bloch, Das Prinzip Hoffnung. Kapitel 43-55 1628). Le Guin’s utopia does not start with a straightforward description of the utopian society. Shevek’s home, the planet of Anarres, is gradually presented to the reader in the course of the chapters. This is complicated by the fact that The Disspossessed has a “dual narrative” (Ferns 255), alternating within its chapters between the plots on Anarres and Urras; the Anarres chapters starting with an even number, and the Urras chapters with an uneven number. In addition to Shevek’s account of both worlds, the depiction of Urras and Anarres is completed and challenged by different viewpoints, which will be introduced in the next chapters. Before the narrative begins, the book presents two maps of the planets of Anarres and Urras on its very first pages - raising the question in which society utopia can be found and whether it exists at all. The following chapter tries to shed light on this question and investigates the implication of the coexistence of both planets for the concept of utopia in The Dispossessed. It enclosed the universe, leaving Anarres outside, free. Looked at from the other side, the wall enclosed Anarres: the whole planet was inside it, a great prison camp, cut off from other worlds and other men, in quarantine (Le Guin 2). The wall implicates further ambiguity, providing freedom but at the same time enclosing Anarres. As Davis points out, in earlier utopias the “wall imagery” meant a “sense of the security and permanence of utopia” (Davis, "The Dynamic and Revolutionary Utopia of Ursula K. Le Guin" 12). 1 As Bloch states: “Primär lebt jeder Mensch, indem er strebt, zukünftig, Vergangenes kommt erst später, und echte Gegenwart ist fast überhaupt noch nicht da” (Bloch, Das Prinzip Hoffnung. Kapitel 1-32 2). 2 See Bloch, Das Prinzip Hoffnung. Kapitel 1-32 1: “Das Leben aller Menschen ist von Tagträumen durchzogen, […] ein anderer Teil […] läßt mit dem schlecht Vorhandensein sich nicht abfinden, läßt eben nicht entsagen. Dieser andere Teil hat das Hoffen im Kern”. 3 Latency and tendency refer to the unrealised potential of the present: “Erst mit der Verabschiedung des geschlossenen-statischen Seinsbegriff geht die wirkliche Dimension der Hoffnung auf. Die Welt ist vielmehr voll von Anlage zu etwas, Tendenz auf etwas, Latenz von etwas, und das so intendierte Etwas heißt Erfüllung des Intendierten” (Bloch, Das Prinzip Hoffnung. Kapitel 1-32 17). 4 The Not-Yet-Conscious or “Das Noch-Nicht-Bewußte” becomes conscious when the dreams of humankind do not simply manifest in emotions but take the form or the function of utopia (utopische Funktion) (Bloch, Das Prinzip Hoffnung. Kapitel 1-32 164). The content of those dreams are imaginative visions as opposed to images merely remembered from the past. They decidedly draw upon the possibility of becoming real, in a way which continues the present in an anticipatory manner. In this respect, the utopian function differs from mere “wishful thinking” (Bloch, Das Prinzip Hoffnung. Kapitel 1-32 164). 5 The Novum is the “noch Ungestalten, jeder Gewohnheit Baren des neuen Materials” (Bloch, Das Prinzip Hoffnung. Kapitel 1-32 146). “Deren Inhalte sind nicht bloß die unerschienenen, sondern die unentschiedenen, sie dämmern in bloßer realer Möglichkeit, haben die Gefahr des möglichen Unheils in sich, aber auch die Hoffnung des möglichen, noch immer nicht vereitelten, durch die Menschen entscheidbaren Glücks. […] Konrekt gewordene Utopie gibt den Schlüssel dazu, zur unentfremdeten Ordnung in der besten aller möglichen Gesellschaften” (Bloch, Das Prinzip Hoffnung. Kapitel 33-42 728). 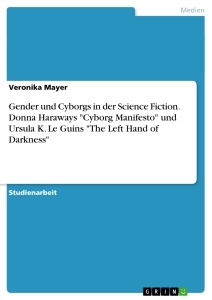 6 Processuality is my translation for Prozesswirklichkeit: “Die konkrete Utopia hat in der Prozesswirklichkeit ein Korrespondierendes: das des vermittelten Novum” (Bloch, Das Prinzip Hoffnung. Kapitel 1-32 226). 7 Correpsonding to Bloch, the Not-Yet-Conscious is inherent in mankind, whereas the Not-Yet-Become, “Das Noch-Nicht-Gewordene[s]”, is inherent in the actuality and the process in which the world finds itself: “Und jedes Kunstwerk, jede zentrale Philosophie hatte und hat ein utopisches Fenster, worin eine Landschaft liegt, die sich erst bildet. […] Wie in der menschlichen Seele Noch-Nicht-Bewußtes dämmert, das noch nie bewußt war, so in der Welt Noch-Nicht-Gewordenes: an der Spitze des Weltprozesses und Weltganzen ist diese Front und die ungeheure, noch so wenig begriffene Kategorie Novum” (Bloch, Das Prinzip Hoffnung. Kapitel 33-42 728). 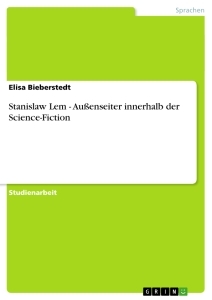 8 See Bloch, Tübinger Einleitung in die Philosophie 115: “Gerade utopisches Bewußtsein bleibt in dem noch Ausstehenden seiner Erfüllung überall unbetrüglich, und das gewiß nicht aus skeptischen oder agnostischen Gründen. Sondern utopisches Werkbewußtsein verschüttet nicht das verpflichtende Ziel mit Lösungen, gar bloßen verdinglichten Mitteln von unterwegs, mit verabsolutierten Halblicht als Abschluß, sei es selbst hegelschen Rangs. Und das aus dem reellsten Grund schlechthin, aus dem objektivsten Korrelationsgrund, den das utopische Bewußtsein hat und der lautet: die Weltsubstanz, die Weltmaterie ist selber noch nicht abgeschlossen, befindet sich noch in utopisch-offenem, das heißt, noch nicht selbstidentisch manifestiertem Stand”. 9 See Bloch, Das Prinzip Hoffnung. Kapitel 43-55 1625: “Das Eigentliche oder Wesen ist dasjenige, was noch nicht ist, was im Kern der Dinge nach sich selbst treibt, was in der Tendenz-Latenz des Prozesses seine Genesis erwartet […]”. 10 See Bloch, Das Prinzip Hoffnung. Kapitel 43-55 1628: “Marx bezeichnet als sein letztes Anliegen ‘die Entwicklung des Reichtums der menschlichen Natur‘; dieser menschliche Reichtum wie der von Natur insgesamt liegt einzig in der Tendenz-Latenz, worin die Welt sich befindet- vis-à-vis de tout”. 11 See Bloch, Das Prinzip Hoffnung. Kapitel 43-55 1628: “Hat er sich erfaßt und das Seine ohne Entäußerung und Entfremdung in realer Demokratie begründet, so entsteht in der Welt etwas, das allen in die Kindheit scheint und worin noch niemand war: Heimat”.